Home » Diet » Top 5 Health Benefits of Pineapples! Top 5 Health Benefits of Pineapples! Our sweet but prickly pal the pineapple, a tropical plant and member of the Bromeliaceae family, is native to Paraguay, Brazil and potentially regions of the Caribbean. It was first brought to Europe subsequent to Columbus’ return in 1493. The name ‘pineapple’ matured in the 17th century thanks to its similar structure and appearance to pine cones. Originally, they were known as “ananas” by the Brazilian Tupi Indians, translating as “excellent fruit”. Let’s not just take their word for it, read on to discover the Top 5 Health Benefits of Pineapples! 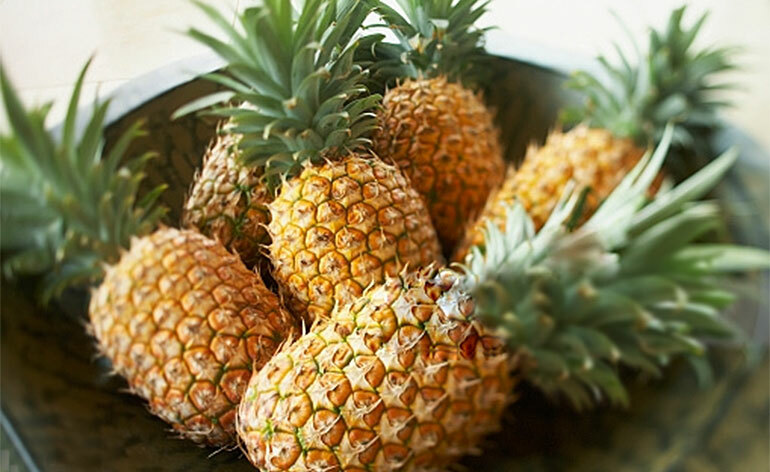 Pineapples hold a unique protein-digesting and tenderizing collection of proteolytic enzymes called bromelain. Undigested proteins can form compounds that are released into the bloodstream giving rise to allergic reactions and the formation of uric acid crystals. This can lead to health issues such as fatigue, headaches, gout, joint pain and arthritis. Pineapple therefore renders protein foods much easier to break down and digest. The majority of bromelain is found in the core of the fruit. Pineapples are home to a wealth of nutrients, vitamins and minerals, including manganese, potassium, magnesium, copper, calcium, vitamins B1, B6, C, folate, beta carotene as well as soluble and insoluble fibre and bromelain. 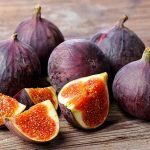 These help in defending the cells against free radicals responsible for cellular damage and potentially cancerous mutations. The collagen that holds skin cells together is especially dependent on sufficient amounts of vitamin C in the diet. A lack of it will see your skin become one of the first areas of your body affected, with inadequate skin tone being the likely outcome. Pineapples contain carotenoids utilised for skin cell protection and worthy amounts of copper for encouraging elasticity in the skin. The fruit, peel, and juice of pineapples is also said to remove warts. With it being the most prominent mineral in pineapple, its high content of manganese is extremely valuable in the strengthening of bones and connective tissues, in addition to their growth and repair. Manganese is also essential for proper energy production, given that it is necessary for the manufacture of enzymes used for the release of energy within the body. In addition to its rich antioxidant compounds that defend against oral cancer, pineapples also contain astringent agents, which aid in tissue tightening and tone the body in order to prevent hair and tooth loss, alongside muscle degeneration and skin loosening. So if you want to look younger, feel stronger and give your digestive system a good kick start, look to add more pineapple into your diet! You could try taking concentrated bromelain capsules sourced from pineapple cores and stems, or perhaps swap out the piña colada for some delicious pineapple desserts, salsas, blended into coconut and banana smoothies for a deliciously thick taste of tropical paradise, couscous and other creative recipes -how do you like yours? Tell us below or @ Keep fit Kingdom !